Free & Powerful MP3 Tools All-in-One. 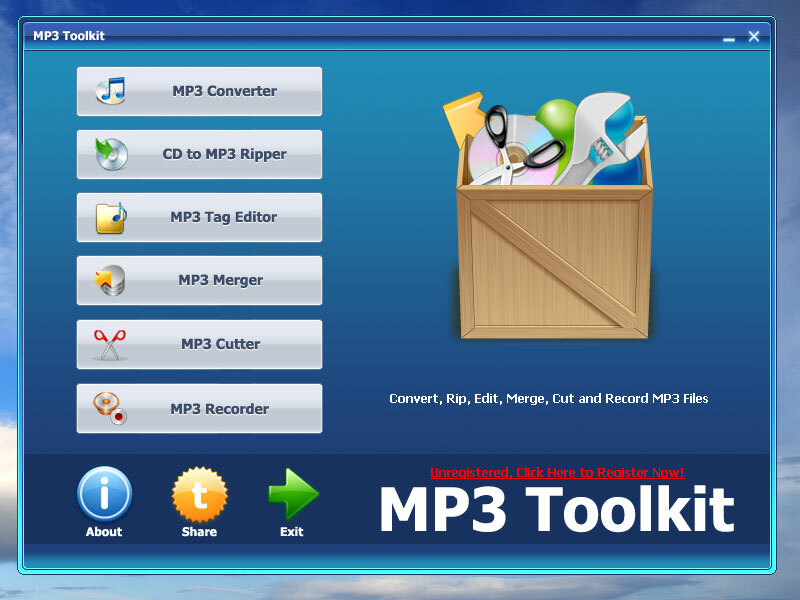 MP3 Toolkit is a free and powerful Windows app includes MP3 converter, CD ripper, tag editor, MP3 cutter, MP3 merger and MP3 recorder for users who want to handle MP3 files easier. Free Convert, Rip, Merge, Cut, Tag Edit and Record MP3 All-In-One.